• Receive feedback from our respondent panel or invite a friend or a colleague for free. Whether you are a digital entrepreneur, an eCommerce seller, or a marketer, early user feedback is critical to validate your assumptions and build your brand. Ask America from Ninjafeedback can help you. 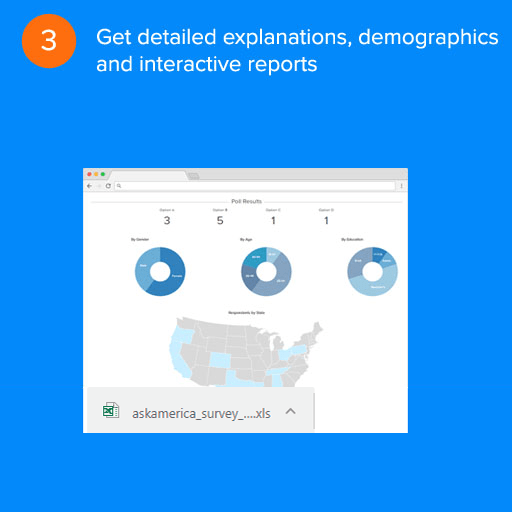 Ask America is an integrated survey and feedback tool with purpose-built templates and a million+ pool of vetted US-based respondents. 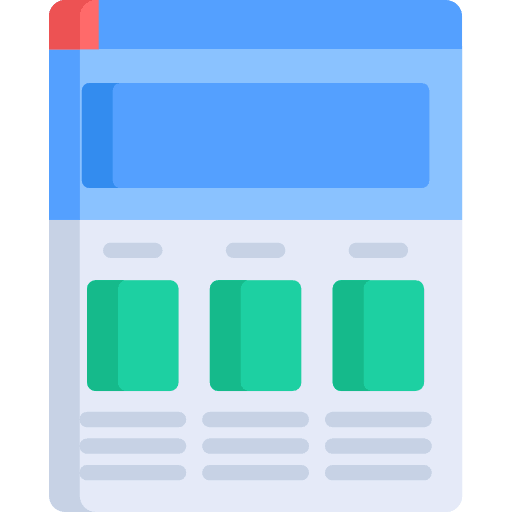 Use purpose-built question templates for everything from landing page, ad creative, product images, to political & consumer surveys. 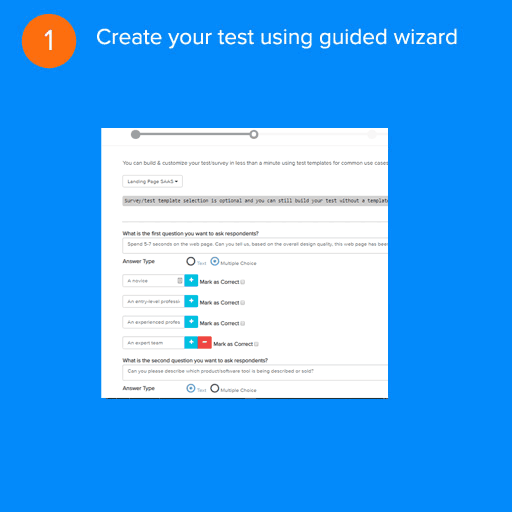 Build your survey using our guided wizard (or use a pre-defined template). Ask America enables you to ask multiple choice and text-based questions. For multiple choice questions, you can designate correct answers and auto-track correct answers. You can optionally include a URL or upload an image. 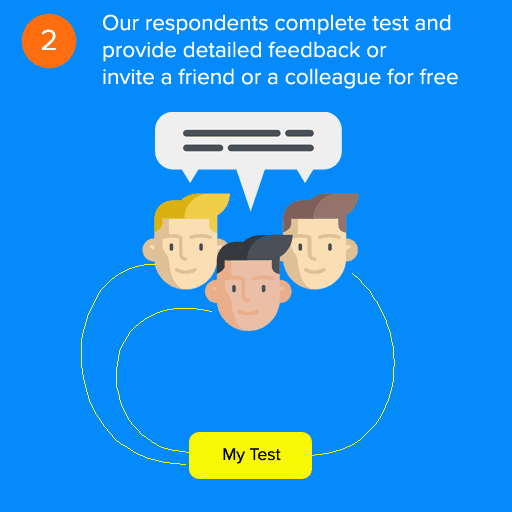 This can be used to create user feedback tests on landing pages, design mockups, product & packaging images.  Variation or AB tests can be created by including URL or image variants. Following are just some of the examples of a test. $0.10 per question for multiple choice and $0.20 for text-based answers.